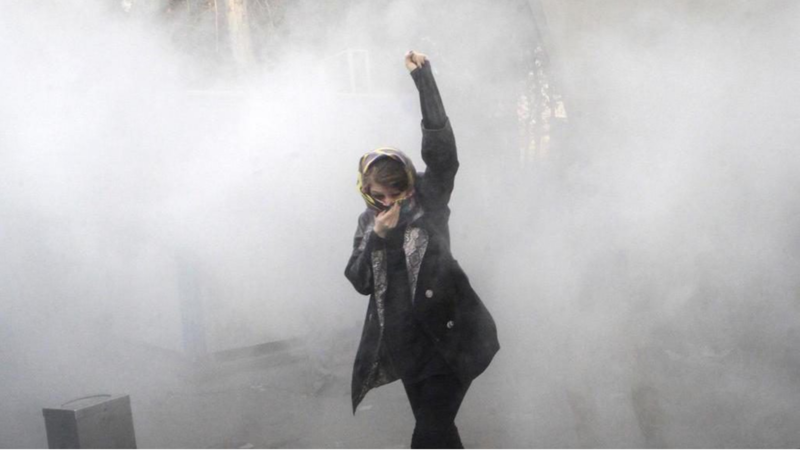 Iran has been racked for almost a week by nationwide protests and rioting over the rule of the mullahs—unrest that shows no sign of abating any time soon. What began as a protest against rising prices and an otherwise torpid economy has quickly turned into a full-blown national movement challenging the very legitimacy of the Islamic Republic itself. We’ve been down this path before, of course. The short-lived “Green Revolution” of 2009 was the last time a popular uprising threatened the hardline theocratic government. Given the opportunity to back the protesters, President Obama chose to lead from behind and do nothing. Although President Trump has tweeted his support for the demonstrators this time, it remains to be seen what exactly the United States can do and how effective these protests will be in forcing political reform. One thing is certain: the Islamic Republic’s days are numbered. This is a protest of the young from across the country versus the old elite in Tehran. Whether change happens now or in another decade, the rising generation of Persians largely reject the fundamentalist Shia Islam that has governed their country since the late 1970s. Today, Iran’s city-dwelling youth are largely Westernized and well-educated. While many may still pray toward Mecca and believe in the Koranic teachings of their elders, they have created a natural separation between the secular world and the religious one (not unlike the sort of separation that exists in most liberal Western democracies today). But it isn’t just a cultural shift that signals the regime’s eventual demise. Fact is, Iran has a fertility crisis. At 1.68 children per 1,000 women (as of 2015), Iran is in the doldrums of an ongoing baby bust. David P. Goldman has argued that Iran’s demographic decline will lead to severe political instability. Iran’s “baby bust” coincides roughly with the life of the current regime—and it shows no sign of abating. In the face of declining economic opportunity and political repression, instability is likely to increase. Once it reaches a critical mass, Iran’s totalitarian theocracy will change. The current regime led by the Ayatollah Ali Khamenei represents a past that has little relevance to the lives of most young Iranians. This repressive regime of close-minded, totalitarian septuagenarians has made a sport of terrorizing and killing young people and oppressing women since 1979. Persian women have abandoned any pretense of comporting themselves along with traditional Islamic expectations and simply opted out of having children. Goldman supposes this is a response to the repressive nature of the regime, coupled with the increase in education for Iranian women. Studies have shown that higher levels of education among women lead to them having fewer children. The religious totalitarians who run the government may be fanatics, but they aren’t stupid. They understand that their time is nearly up. At some point, the next generation—which simply has more time on its side—will demand change. Understanding that demographics is destiny helps explain why the mullahs have made such bold foreign policy moves in the last decade: they can either seek to establish their Islamic utopia on Earth now or never. This is a pattern that we’ve seen play throughout not only the Middle East over the last decade (with the Arab Spring), but also in China during the Tiananmen Square protests in 1989 and the collapse of the Soviet Union in 1991. In each case, economic stagnation led to a complete collapse of the social order, which eventually crushed the political regime. Only the Chinese Communist Party survived its brush with being overthrown—and that was because the government used overwhelming military force to crush the democratic protests, followed by years of economic reforms that brought prosperity to the country as never before. The mullahs may very well use any and all force necessary to preserve their regime, as China’s Communists did. But that’s where the comparison ends. The conditions in Iran today are closer to those that led to the fall of the Soviet Union—and even the misery that led to the ouster of the Shah and the rise of the ayatollahs in 1979. Like the Soviet system, the Islamic Republic is closed; it is totalitarian; it dominates the national economy; it is grossly corrupt; and it has wasted the country’s time, money, and prestige in needlessly aggressive foreign policy misadventures, that have only further isolated the country and devastated the economy. The Iranian people are fed up.